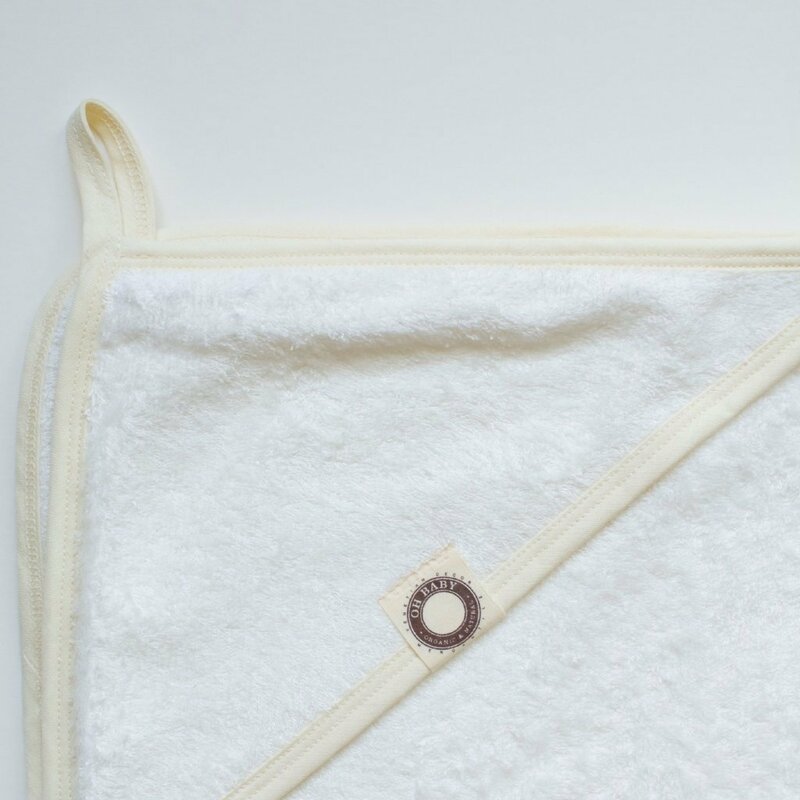 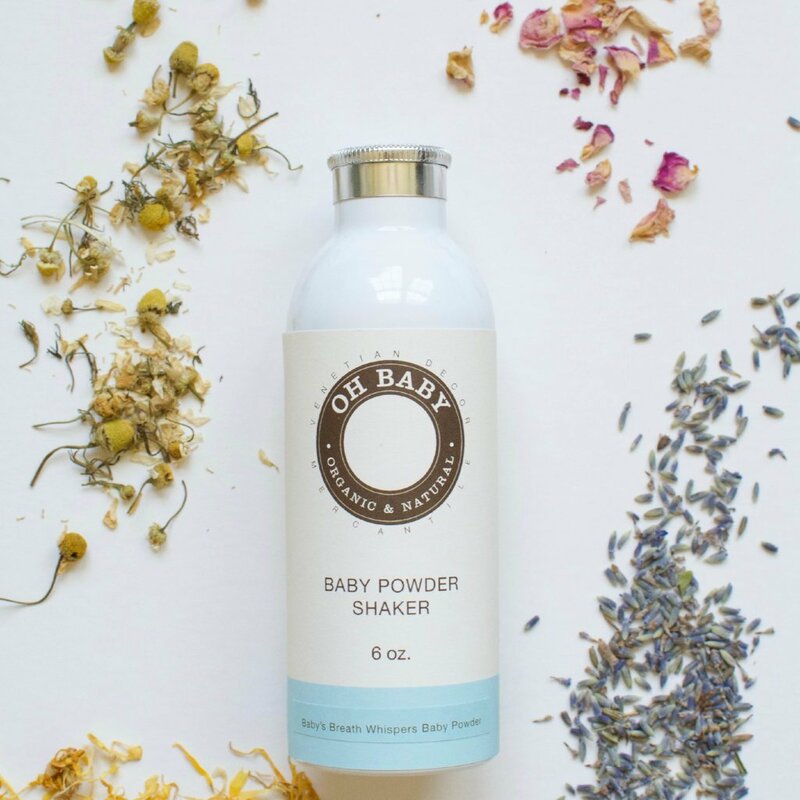 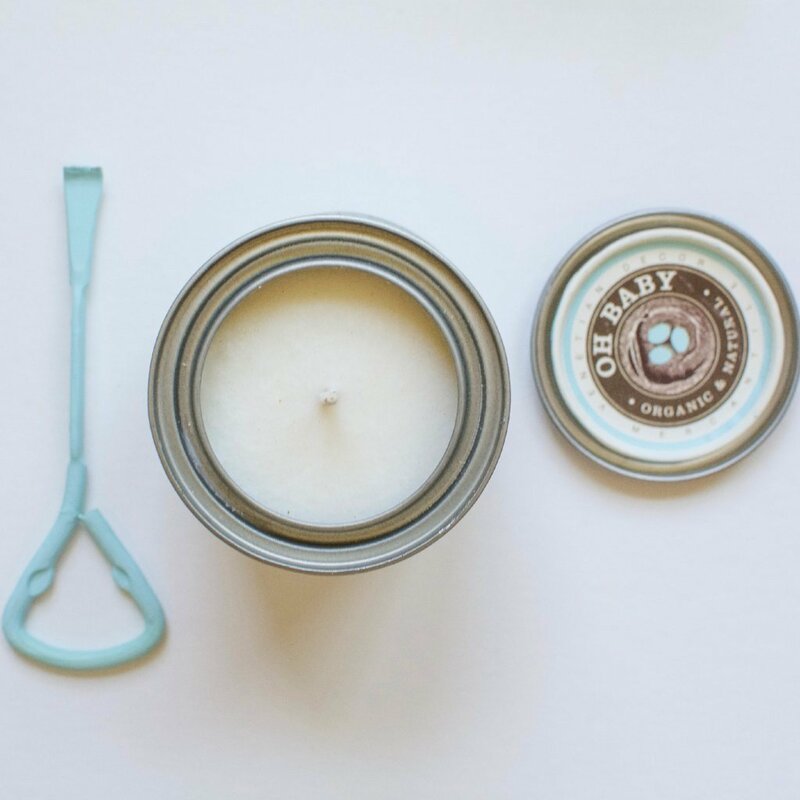 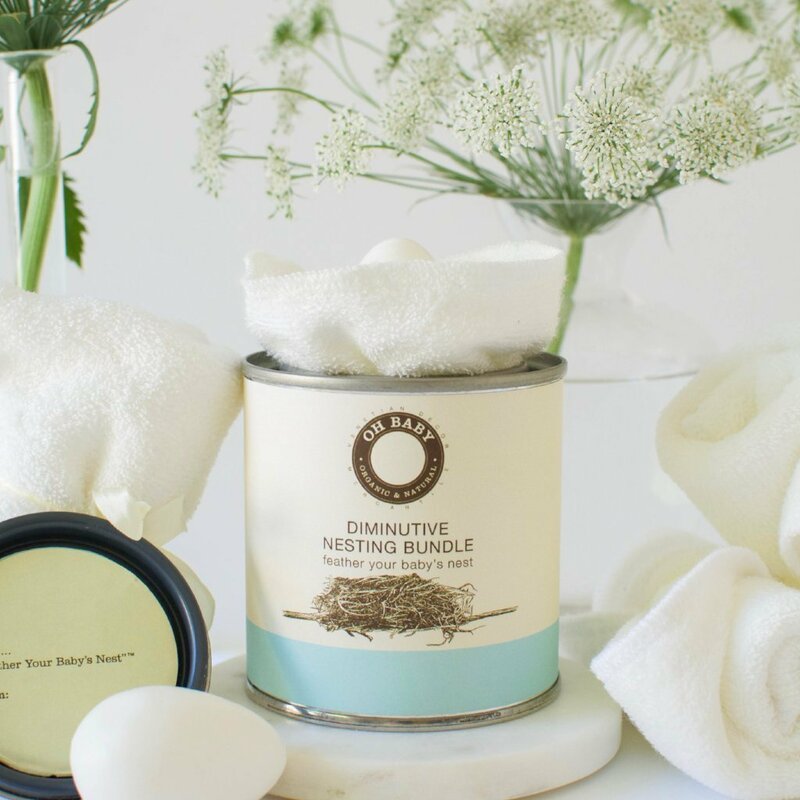 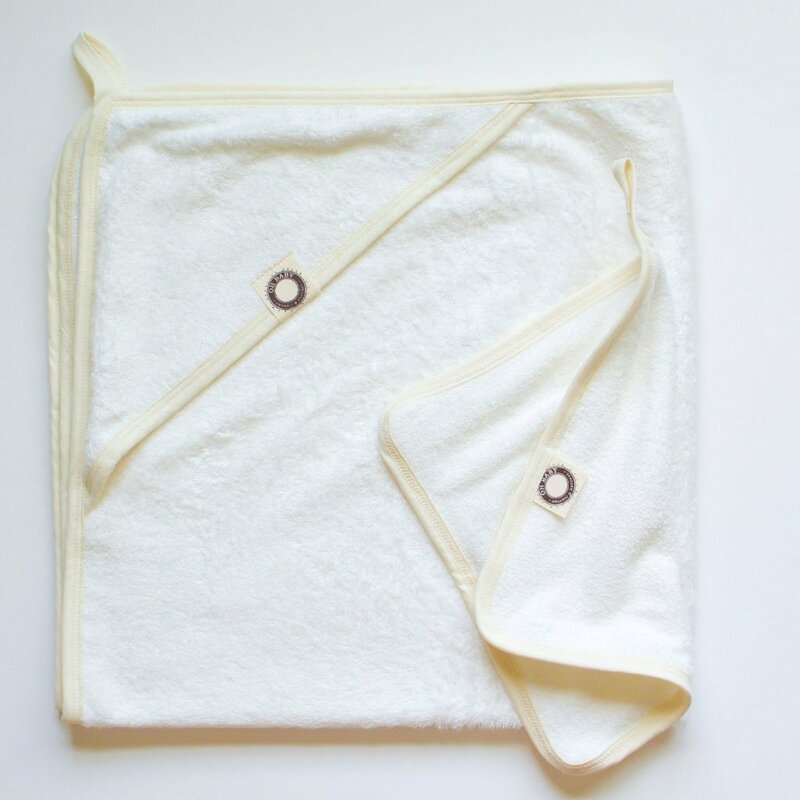 Our signature baby powder blends caress the folds, creases, dimples and chubby rolls of your baby’s delicate skin.© With organic and all-natural ingredients, our powder is designed to gently absorb excess moisture on baby’s soft skin, helping the baby’s skin to feel dry, fresh and smooth. 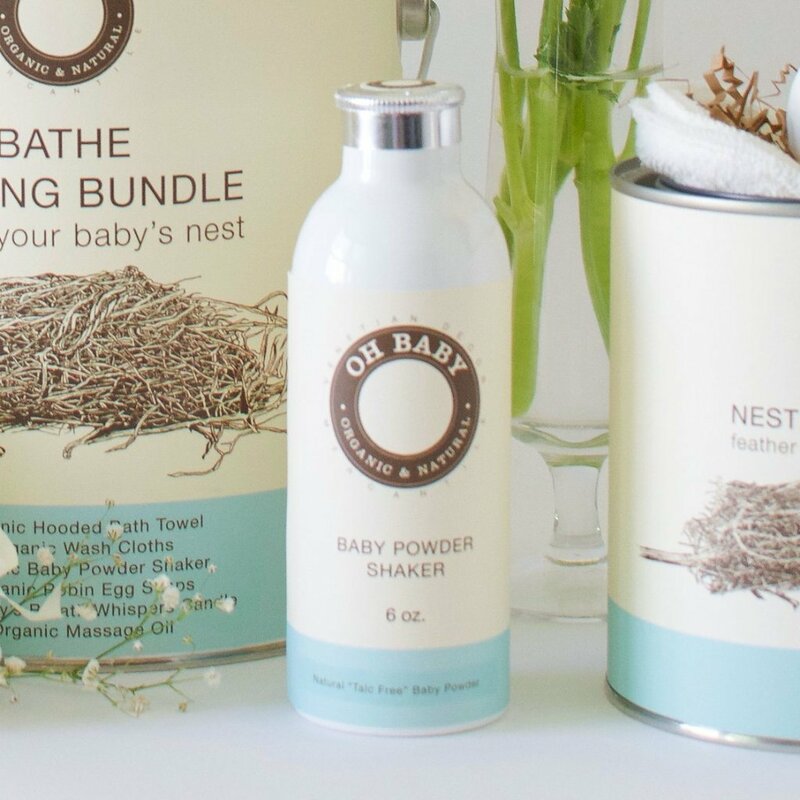 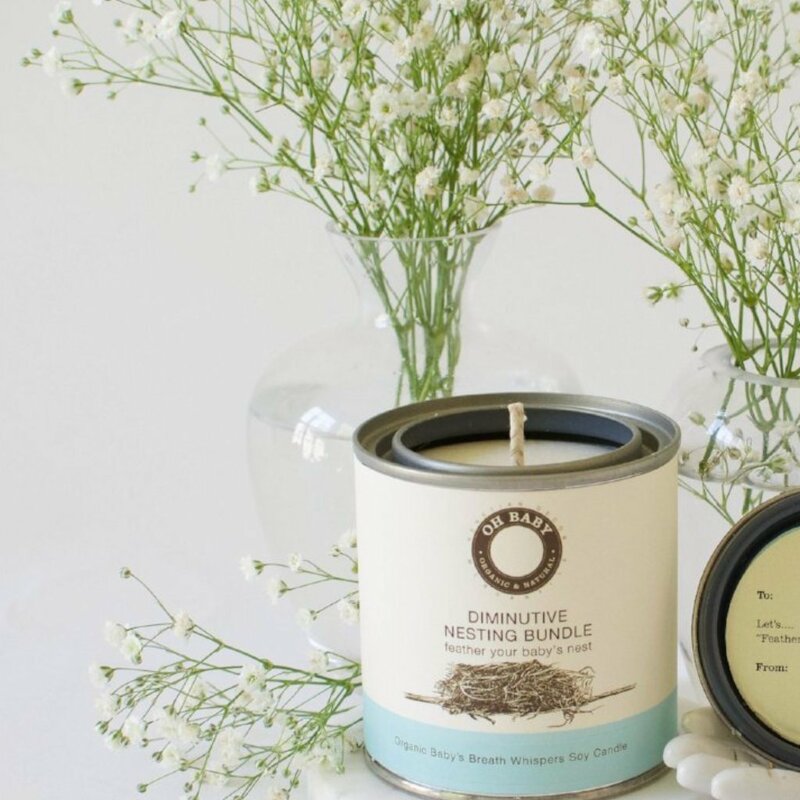 Our signature Baby’s Breath Whispers™ blend builds on that foundation, adding a delicate scent of infused oils and organic dried botanicals. 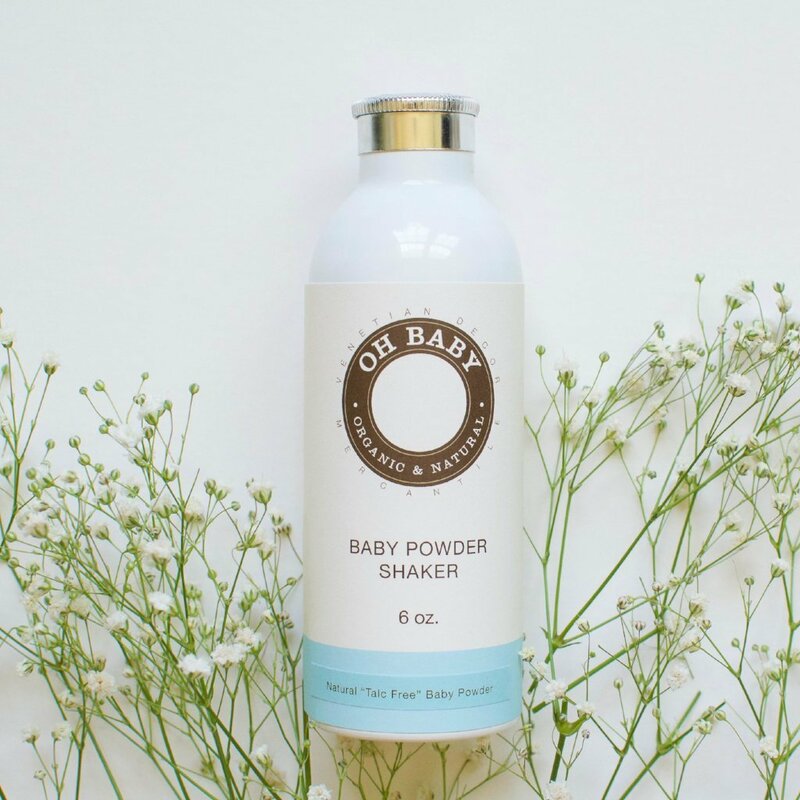 Decanted inside our vintage-inspired white shaker bottle. 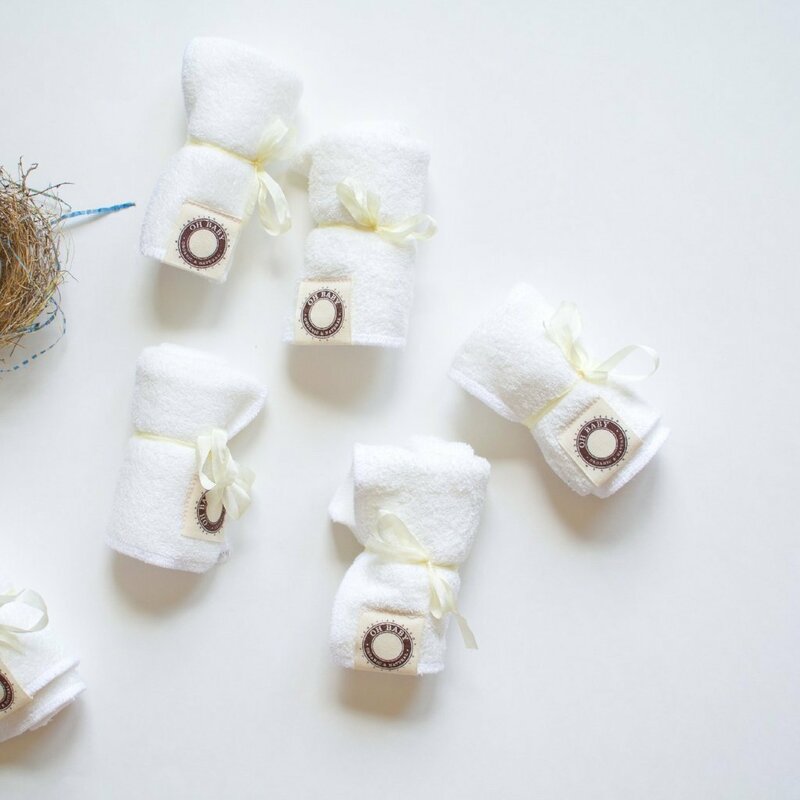 Each heirloom-inspired shaker contains 6 oz. 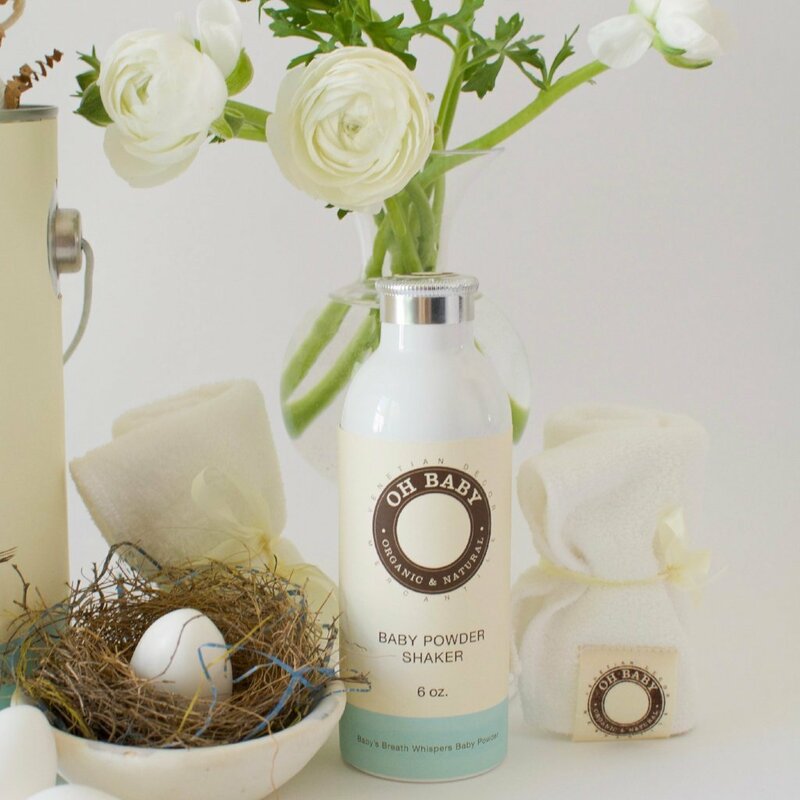 of talc-free baby powder. 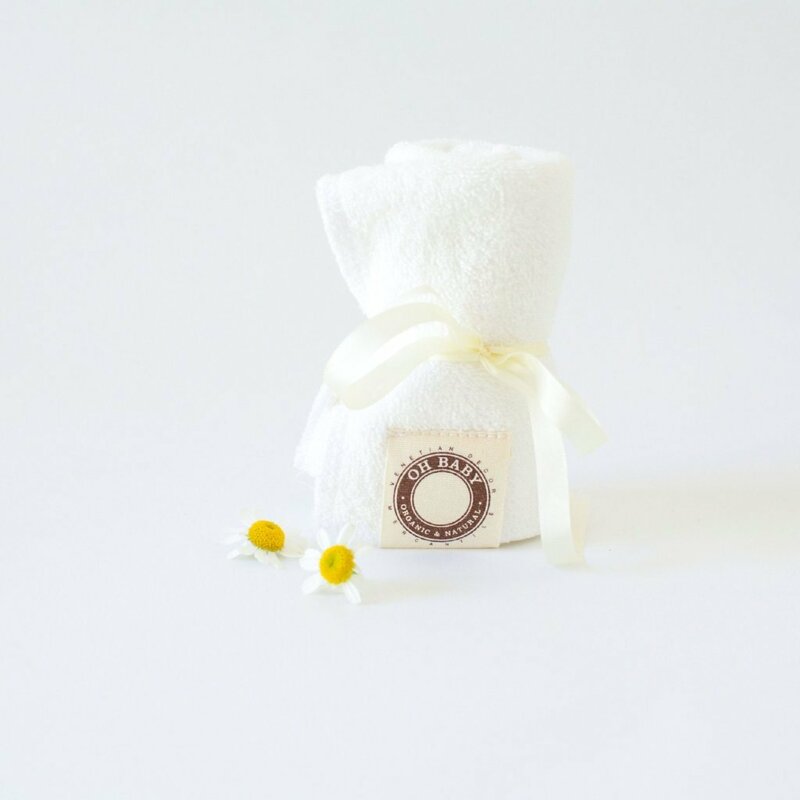 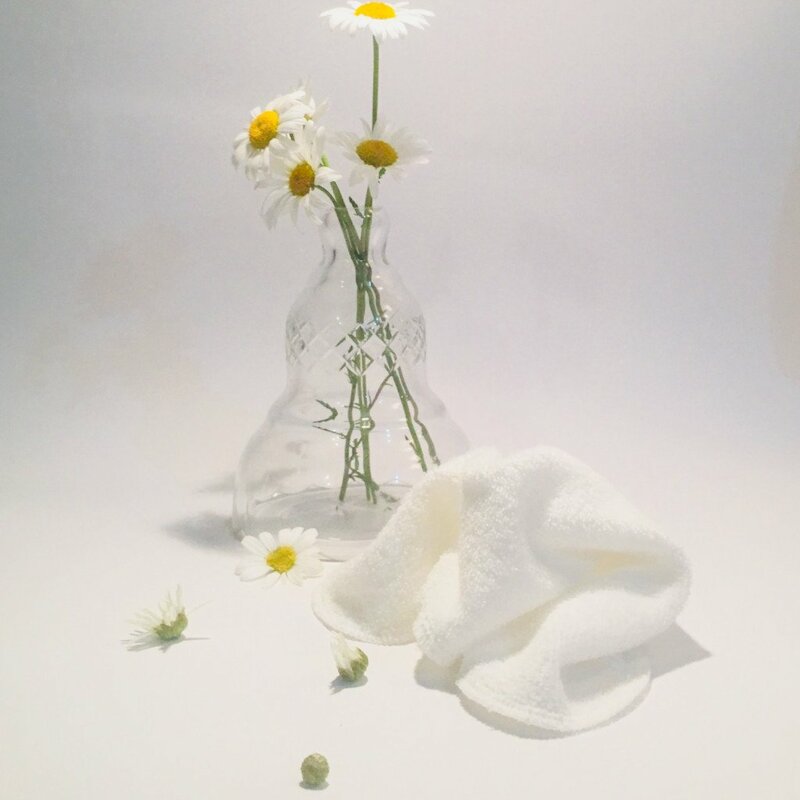 Arrowroot powder, white kaolin clay, geranium, rosewood, coriander, palmarosa, lavender, ylang-ylang, chamomile, lemon, jasmine, rose, calendula, a hint of sweet orange, lavender buds, chamomile flowers, Rose and calendula petals. 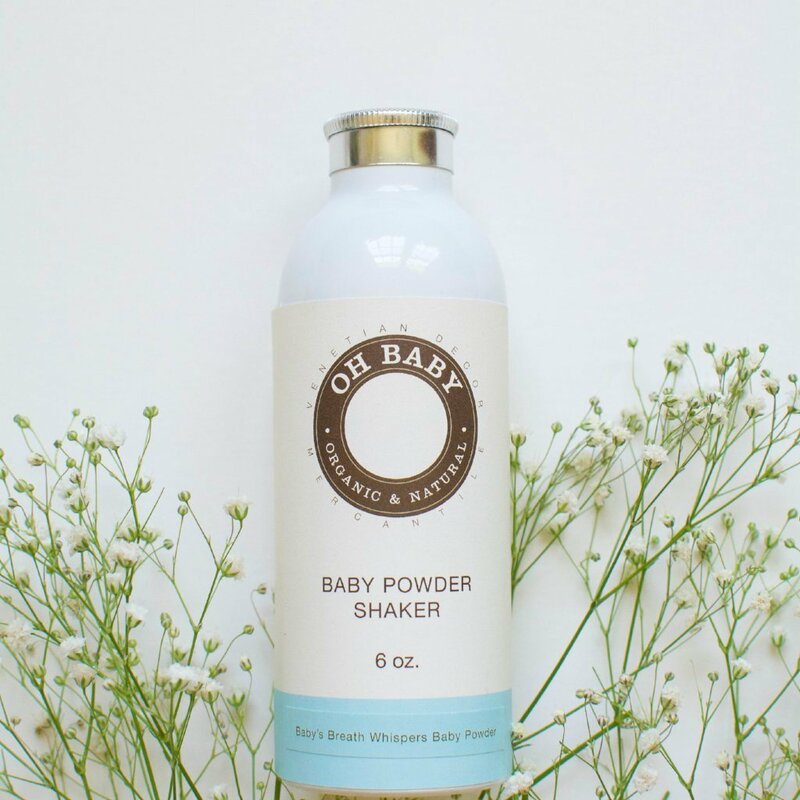 Always apply by hand, first shaking the baby powder into your palm rather than directly onto your baby’s delicate skin. 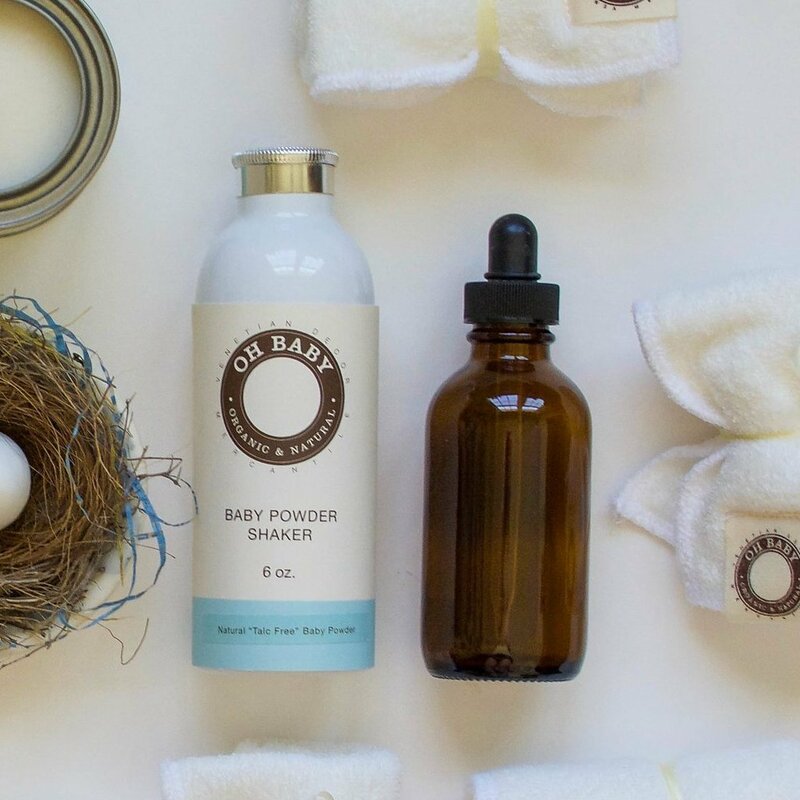 Note: Our baby powder is not intended to be used to prevent or treat diaper rash, please consult your physician if your baby has symptoms of a rash.